WAA's goal is to provide supervised recreational and competitive lacrosse programs for the youth of our communities. WAA aspires to provide a safe, healthy, and positive atmosphere for all participants while instilling the principles of sportsmanship, honesty, loyalty, courage, and respect. The participation fee includes league fees, uniforms, referees, goals, balls coaches & administrative costs. High School teams include bussing to away games. Player equipment is not included. Girls: Will need to purchase a girls lacrosse stick, goggles, and a mouthguard. The registration fee includes two t-shirt tops to keep. Boys: Will need to purchase a mouthguard, lacrosse stick, helmet, gloves, shoulder and arm pads,. Boys fee will include a reversible jersey and shorts. Upon the return of the jersey top at the end of the season and before 8-24-19, you will be refunded $40. If the jersey is not returned to the CE office by August 23 the $40 will be voided. The shorts are yours to keep. Ages: Boys ranging U8 – U14 – born on or before 8-31-2012. NOTE: 9th graders are not allowed to play on a 14U team in YLM. Length of Season: Early May through July. Starting date could be earlier or later depending on weather. Post-Season Tournaments may follow regular season for individual teams. Registration and information night: Tuesday, February 5th at 6pm in the Waconia Middle School Cafeteria. No registration or commitment required to attend. High School Age Lacrosse will be sanctioned by the MSHSL. 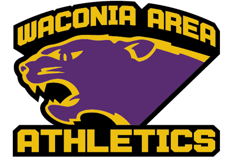 Contact the Waconia High School Athletic Department for more information. PRIOR to registering with Waconia Community Education & Recreation, each boy MUST obtain a member # from US Lacrosse and provide that number on the CE registration form for EACH YEAR. A US Lacrosse membership fee is $25 for U8-U15 (students not currently in high school) or $35 for current 9th – 12th grade students which provides the player with insurance coverage and is required by YLM & MSSLAX to participate. Go to USLacrosse.org to get your member number. This fee is not-refundable. **Girls lacrosse will need a US Lacrosse member number, but please wait to purchase until rosters are final February 10. Play Nights: Practice will be during the week in the evenings, and may include some weekends.